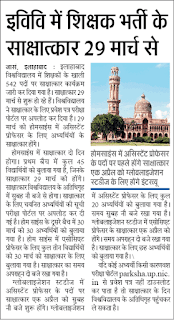 Allahabad University Assistant Professor Recruitment 2019 Teacher 558 Vacancy Screening Exam Allahabad University Associate Professor Recruitment 2019 Latest News in Hindi Allahabad University Professor Recruitment 2019 Lecturer Released. Allahabad University Assistant Professor Recruitment 2019 online form teaching Vacancy with Assistant Clerk and Lecturer is of updated. 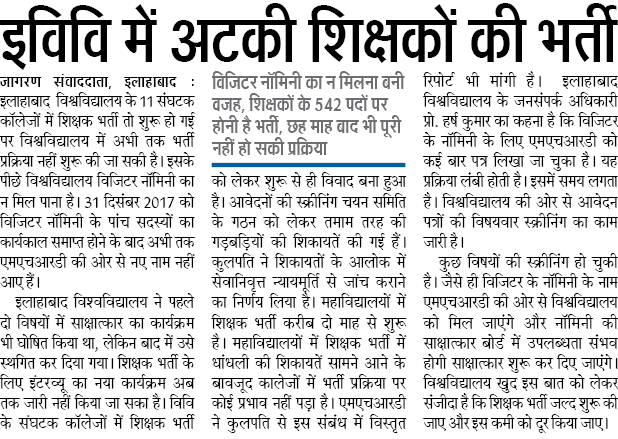 As per previous year Allahabad University released the 542 Teacher jobs typically named as Associate Professor, Professor and Assistant Professor in Which Assistant Professor Bharti was there. 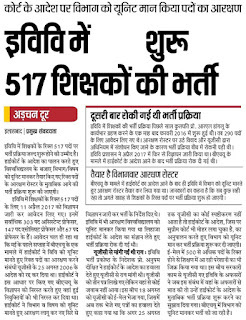 Allahabad University Assistant Professor Latest News is candidates will have apply now for 517. Starting date for Teacher and Non Teacher vacancy advertisement with last date 29 August. 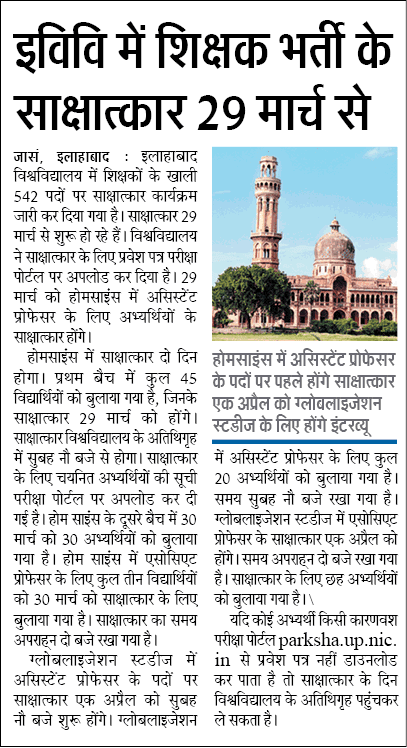 Allahabad University 558 Recruitment 2019 Latest News 10 April Allahabad University Department on 10 April released 558 vacancies of Professor, Assistant Professor & Associate Professor Recruitment 2019. On 15th April AU may be expected to issue guidelines. 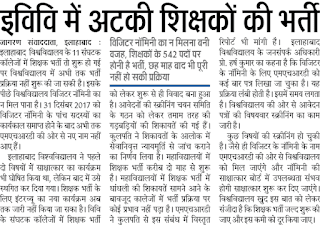 AU Teacher Interview Date 2018:- Latest Update 2 April 2018 Due to Chancellor Foregn Trip of Holiday Allahabad University Teacher Interview shall be conducted in May Month. Total 18091 candidates have attended Assistant Professor nterview, Associate Professor 1057, Professor 714, Womens College 2-2 posts 86 candidates filled the application form. Globalization Studies:- 30 Applicants have given interview. 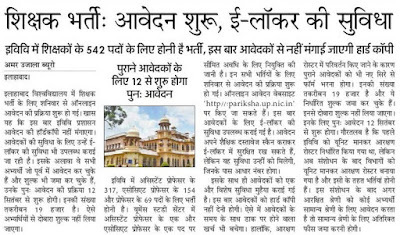 Allahabad University Teacher Vacancy 2018:- Latest News 14 February Allahabad University and its affiliated college yet not get any type of 542 Professor teacher after 6 month. It is due to MHRD who have not shown new name of Visitor Nominee. Check below newspaper news. Allahabad University Assistant Professor Vacancy: AU online form opened to fill 542 posts of Assistant Professor in pay band Rs. 15600-39100 with AGP of Rs. 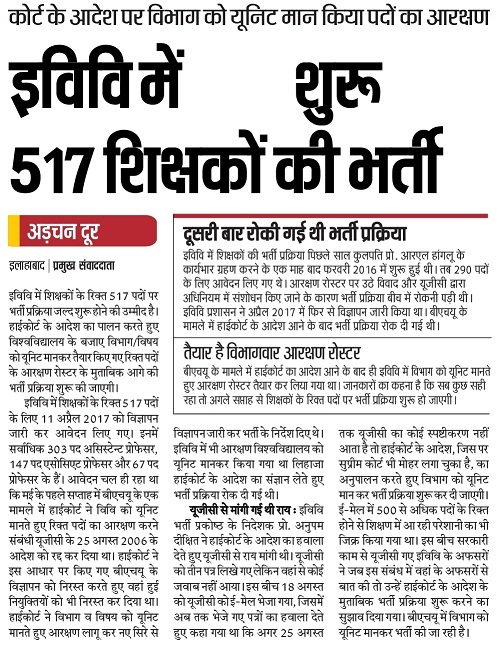 6000 in various University Departments, Centres. 1. Good academic record with a Ph.D. Degree in the concerned /allied/relevant disciplines. Age Limit: The candidate to be appointed as assistant professor should be above 21 years below the age of 40 years. This is a temporary position extendable up-to the project period. The requisite fee of Rs. 1000/- for UR & SEBC candidates and Rs. 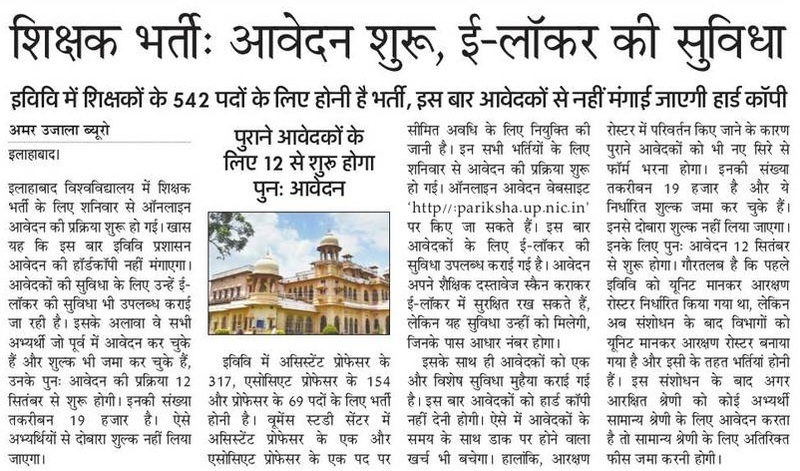 400/- for SC & ST candidates has to be remitted through On-Line mode. 1. PwDs Candidates are exempted for fee. 2. Apart from aforementioned application fees, an On-Line facilitation charges of Rs. 25/- is compulsory for each applicant. Address: Registrar, University of Allahabad Postal Code: 211002 City Allahabad State U.P. Last Date for Closing date for registration: Up to September 2017. How to Apply Allahabad university recruitment news: Candidates have to download the application format from the official website of the university, http://www.allduniv.ac.in. Links: The candidates are requested to carefully read the General Instructions before filling up the application form. Candidates are also advised to visit the website (www.allduniv.ac.in) and NIC- PARIKSHA (http://pariksha.up.nic.in/) periodically for further information related to the recruitment process.